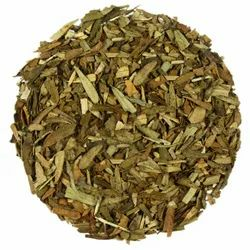 We are a leading Manufacturer of basil pure herb, dried lemongrass leaves, sea buckthorn, moringa leaves, peppermint and spearmint dried herb from New Delhi, India. Basil is a common spice consisting of the dried leaves of Ocimum basilicum, an annual herb of the family Lamiaceae (Labiatae) native to India and Iran. Basil leaves are a member of the mint family, and was known as the herb of kings in ancient times. In fact, its name may have been derived from the Greek word basileus, meaning "king". The ancient Greeks and Romans believed that you had to curse and yell while you were planting basil seeds, to get a good crop, although that practice has since been largely abandoned, at least by commercial growers. Like other members of the mint family, basil has been used medicinally for digestive upsets. 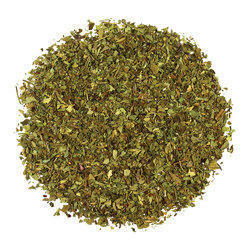 Basil goes well with other herbs, spices, and flavorings, especially thyme, garlic, oregano, and lemon. We are offering Lemon grass Dried Leaves to our clients. Lemongrass can be considered a powerhouse of minerals. Lemongrass balances blood cholesterol level of the body. Lemongrass is anti-fungal and anti-bacterial. Lemongrass is rich in vitamin B1 and B2. We are offering Sea Buckthorn to our clients. Sea Buckthorn dried leaves can be used as a spice in various cuisines or to be mixed with floor .It can also be added to stews, soups and curries to add more taste. We are offering Sorichorganics Moringa Leaves to our clients. Moringa is considered the 'mother of herbs. It is enriched in anti-oxidants. Minerals and vitamins like vitamin C are found in higher quantities in moringa leaves. Moringa leaves promote muscle and bone health in the body. Dry peppermint is anti-inflammatory in nature. Peppermint keeps bacterias and viruses away from the body. It is a relaxing herb which reduces anxiety. Peppermint works as a medicine for cold and flu. It relieves muscle pain and stiffness. Spearmint is that miraculous herb which takes care of you inside and out. High potassium level of the herb keeps blood pressure in control . It also keeps hormonal balance. 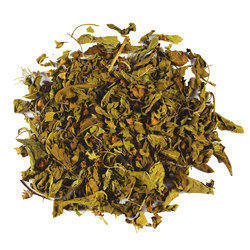 Semi medicinal herb, spearmint, can be made into herbal tea. It can also be ground , if used as a spice in vegetable curries or for sprinkling purposes. Spearmint contains some vital nutrients which enhance the immunity. Spearmint leaves are aromatic. It is used majorly for garnishing purposes. Spearmint prevents cold and flu. It also keeps digestive system healthy. 1. 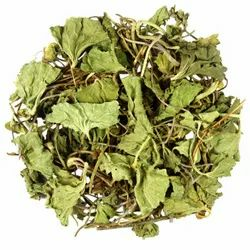 There are various kinds of tulsi. Rama tulsi is one of them. It has green leaves and white stem. 2.Traditionally, Rama tulsi is treated as a medicine which cures various problems of the body such as excessive cough and flu. It is mixed with tea to relax the sore throat. 3. Rama tulsi is an agent for loosing weight. It increases metabolism which leads to the reduction in unnecessary fat in the body. It balances the cholesterol of the body , preventing heart from various risks and diseases. 4. Rama tulsi is detoxifier. It cleanses the body in the most healthy way possible. This is why, Rama tulsi is recommended for the betterment of digestive system. 5. 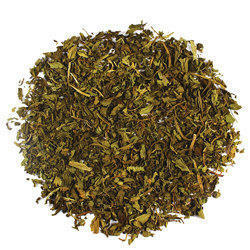 Rama tulsi can be put in tea with ginger and cinnamon to add soothing flavor and taste. In the powdered form, it can also be added in vegetable stews to increase health benefits. Considered a natural remedy for cough and cold, Rama tulsi is one of the most ancient herbs. Rama tulsi carries its importance not only in terms of food but also in terms of tradition. Rama tulsi is detoxifier. It cleanses the body in the most healthy way possible. 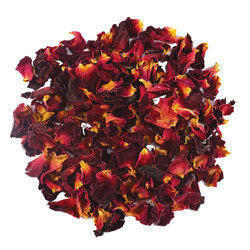 We are offering Dried Rose Petals to our clients. Rose petals are anti-bacterial in nature. Rose is considered a relaxant. Rose petals are rich in fibre.
. Consuming rose petals brings out the radiance in the skin from within. Rose petals relax the nerves." 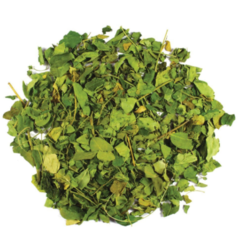 We are offering Brahmi/Gotukola to our clients. It is used in making numerous herbal medicines. 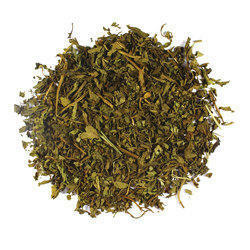 Brahmi is a relaxing herb which soothes the mind. It reduces the effect of asthma. It can be taken in the leafy form.